I learnt this from a food page posted by Priya R shenoy and got inspired to prepare this. Easy to prepare and no need of fermentation. Soak masoor dal and urad dal for 4-5 hours. Then grind into coarse paste then add pepper corns and grind into fine paste. Then add crushed ginger and salt mix well. 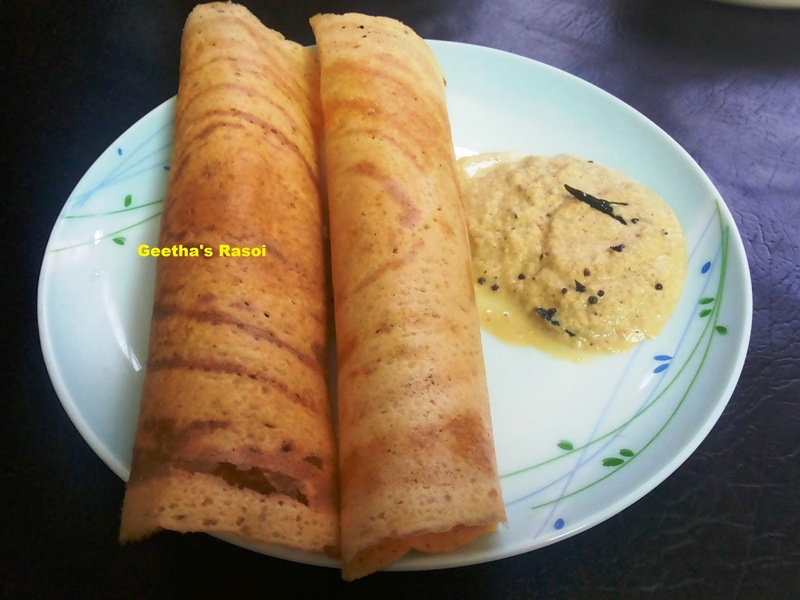 Heat the dosa tawa and prepare thin crispy dosas. Serve with any chutney. very niceely done as always.The colour and crust shows how crsispy the Dosa is.The red chutney goes great with it..your photos have always been awesome.Th prsentation is always given its due share. I am really happy today I got a valid appreciation from you Venkatesh Mam, thank you very much for visiting and commenting on my blog. Wish all others who visit my blog also put a comment like you have done. Did you actually make these yourself? ?